Halima Aden made history with her Black Girl Magic! Halima Aden didn’t win the Miss Minnesota USA pageant Sunday night, but she made history nonetheless. 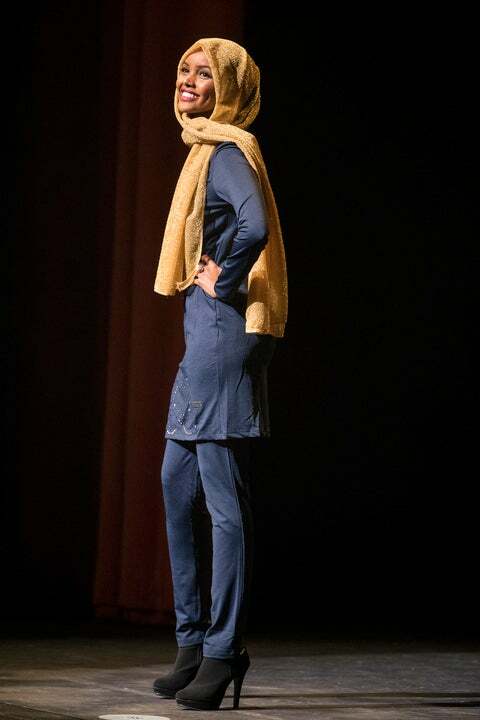 The 19-year-old Somali-American became the first to compete wearing a hijab, and later donned a burkini during the swimsuit portion of the evening. The Muslim teen, who moved to St. Cloud, Minnesota, after immigrating at age 7, hoped her platform would change minds about Islam. The ambitious teen — who dreams of being a U.N. ambassador — wasn’t deterred by the lack of a road map for fellow Muslim women in the pageant world. Aden quickly made an impact on the Miss USA pageant, which is part of the Miss Universe organization that President-Elect Donald Trump previously owned. But her mother didn’t share Aden’s enthusiasm for the pageant, and refused to attend. Aden emphasized that wearing the hijab is not a sign of oppression — it’s an important choice.